East Grand Rapids is a small city on the east side of metropolitan Grand Rapids in Kent County, Michigan. The primary geography is residential homes, although there is a business district containing all the essential services, a selection of specialty stores and boutiques, and a world-class hospital within the borders. Valued for the excellent school systems, well-kept homes and unparalleled municipal services, East Grand Rapids is a favorite of families, singles and empty-nesters alike. 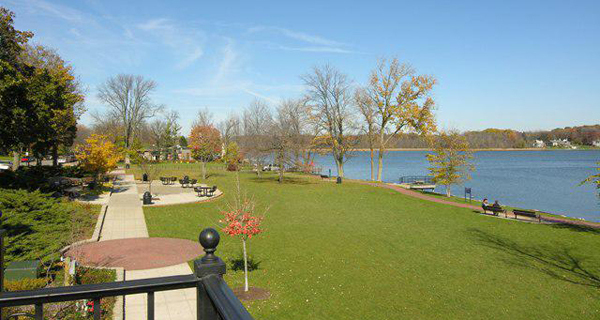 The premier asset of East Grand Rapids is Reeds Lake, a true centerpiece for the community. From fishing on quiet mornings to an afternoon of waterskiing with family, Reeds Lake and the surrounding parks, woods and trails draw people from miles around to enjoy the outdoor landscape. In addition to a wide variety of education, lesiure and fitness programs, East Grand Rapids regularly hosts art fairs, antique shows, community celebrations and many walks/runs benefiting charitable organizations.